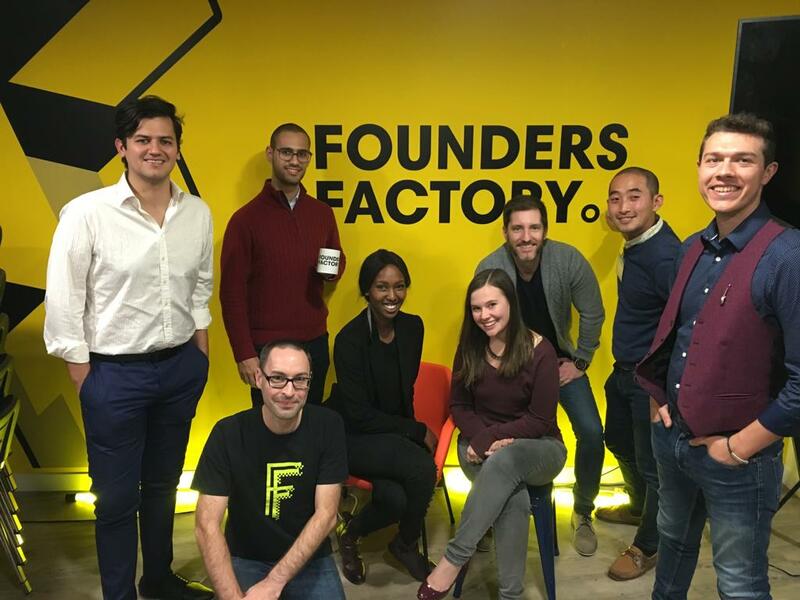 We arrived at the Founders Factory in London, for an evening of presentations given by three early stage startups. They ranged from a startup that is still forming market understanding and product offering to an early-stage company that has started selling to a limited audience. The companies included a media company that pulls together daily news from a range of different sources to deliver a snapshot of the day’s events in an accessible manner right to your inbox, to a financial services company geared towards millennials who have a hard time saving – instead offering them a way to save towards specific things, such as an exotic vacation or a new car, and lastly a company creating a subscription model for vacations. After these fascinating presentations, our group was invited to join the Friday evening “Show and Tell”, which kicked-off with some of the startups sharing an update about progress they made since they last presented – including equity raises, updates to products and services, and market pivots. The presentations then morphed into a session called “Wowsers and Whoopsies” where the audience was encouraged to share any and all successes and blunders from the last week. We ended the evening with informal drinks and discussions with some of the startup founders, including one of the original founders of the Founders Factory, Paul Egan – Chief Incubation Officer. He shared some insights about what he believes are characteristics of successful founders and CEOs: the first is the ability to sell (to investors, customers, the team) and the second is resilience (the ability to keep getting up and moving forward despite failures and obstacles). It was a great visit with a great many lessons and take-aways for our future entrepreneurial journeys! With thanks to Clare Dussman (MBA 2018) for making the visit an extraordinary success.